Rio is an all-suite hotel that makes you forget about what's going on anywhere else. An off-Strip resort, it encompasses everything that will keep guests partying all vacation long. Up or down, there is literally a party everywhere. The Masquerade Show in the Sky is an example of a party up high. Magnificent floats carry singers and dancers as they travel the ceiling tracks. When floats are flying high, there is an on-stage show for ground viewers. Throughout the day there are many different themed shows - so seeing one doesn't mean that you've seen them all! At this tropical resort, you will find the state-of-the-art nightclub, Club Rio. Up 51 stories high, you will find the VooDoo Lounge - where you can witness breathtaking views of the Strip. If you prefer to be wildly entertained, Rio is also home to the male revue Chippendales. The wonderfully funny comedic duo Penn & Teller are also regulars at the Rio, constantly providing great comedy coupled with daring stunts. As you can find down south, the hotel offers authentic restaurants that will stir your taste buds. Búzios offers Italian cuisine with an array of fresh seafood. Bamboleo is an authentic Mexican restaurant that delivers scintillating flavors to the tongue. While the VooDoo Lounge is the after hours hangout, its counterpart VooDoo Café is a beautiful restaurant that serves top of the line cuisine. Rio also boasts the Carnival World Buffet which offers the flavors of the world in one setting. If you can’t decide what you want to eat, the buffet will surely inspire you to try all different kinds of flavors. This never ending party will surely not disappoint. 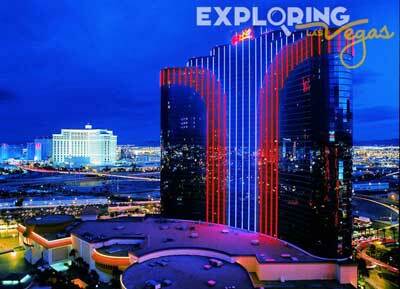 It’s always a party in South America and the Rio Las Vegas has brought it up north for all to enjoy. Rio Spa & Salon, Shopping, Rio Secco Golf Club, Nightlife, Masquerade Show in the Sky, Weddings, Meetings. VooDoo lounge (Open nightly at 5pm, live music starts at 9:30pm), I bar, VooDoo Beach, Flirt Lounge, Antonio's Italian Ristorante, Cafe Martorano, Gaylord Indian Restaurant, Carnival World Buffet, All-American Bar & Grille, Buzio's Seafood Restaurant, Hamada's Asiana, Janelas, Mah Jong, Sao Paulo Cafe, Sports Kitchen, Starbucks Coffee, The Coffee Bean & Tea Leaf, Tilted Kilt, Village Seafood Buffet, Wine Cellar & Tasting Room. 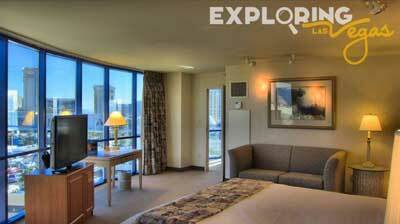 We've stayed at the Rio several times when in Vegas. It is great. Anyone will love this place. I can't wait to go back. I'd rate it A+. Rio - The Rio is a part of Harrah's and all Harrah's employees go through a ridiculously cheesy customer service training session. This cheesy training does provide results and you'll find friendlier dealers and other staff members on property. There's a free show in the sky that happens seven times during the day - if you miss the show you can watch the cocktail waitresses (and waitors) perform on mini stages throughout the casino. The music is horrible, supposedly geared toward a 40+ middle class crowd. The VooDoo Lounge on the 51st floor is a great spot - DJ outside, live music inside.